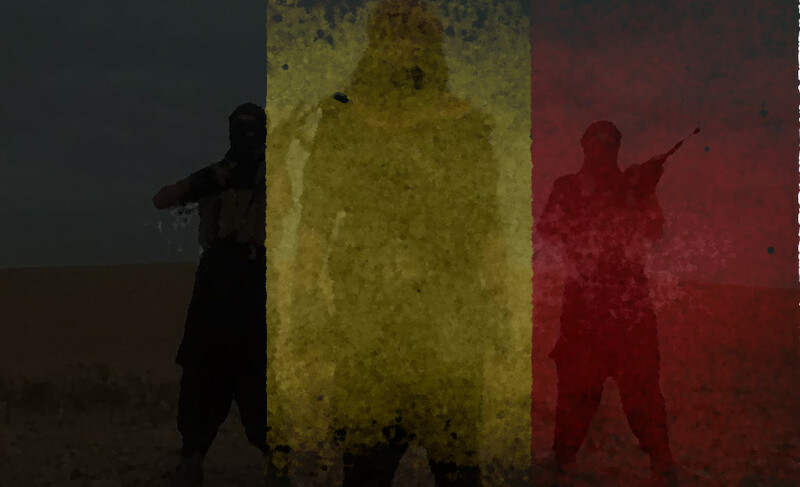 You are here: Home › Analysis › Islamism › Reports › Who pays for ISIS in Libya? ANALYSIS – During its rapid rise in 2014 and 2015, the Islamic State in Libya had money to burn. 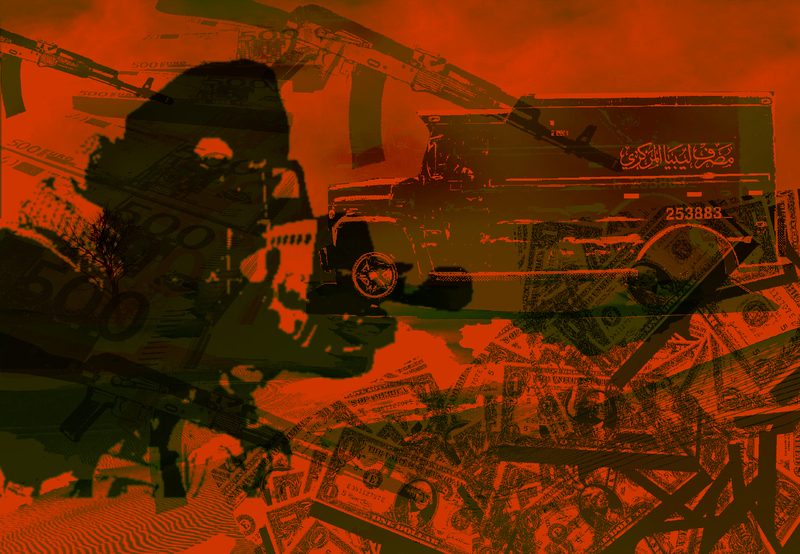 Where did the cash come from, and can the militant group survive its present financial and military squeeze? States – great and small – require cash to survive. Although wealth alone may not buy their subjects’ loyalty, it usually goes a long way. And when it comes to waging wars, many throughout history have been won more by fiscal power than by firepower. American loans to the British Empire were crucial to her victories in both the First and Second World Wars. In those conflicts, Germany had no wealthy creditor, and as the wars dragged on her access to materiel suffered. In early modern Europe, money had been directly convertible into fighting power through the purchase of mercenaries. Those states which mastered the art of credit thrived on the battlefield, while empires addicted to hard currency, like that of the Spanish Habsburgs, collapsed when they ran out of loot. Contemporary guerrilla war and terrorism differ vastly in tactics and strategy from conventional warfare. Yet they do not differ fundamentally in their reliance on money. In 2014, when the Islamic State (ISIS) made its first breakthroughs in the Middle East by capturing Mosul and the vast Sunni areas of north-western Iraq, it quickly became an organization flush with cash. As a result, it was able to pay its soldiers and administer its territories. Widely publicized as “the richest terrorists in history”, ISIS became notorious as a jihadist organisation which not only had vast resources but knew how to cleverly deploy them to garner followers. In contrast to developments in the Middle East, the finances of ISIS’s Libyan branch have largely remained a mystery, but even before the group lost hundreds of kilometres of coastal territory surrounding Sirte in late May and early June 2016, it appeared that it had already begun to haemorrhage financially. This key, and possibly causative dynamic was missed by many mainstream analysts who were shocked at ISIS’s rapid retreat in the face of the onslaught of the Misratan militias commanded by the General National Accord’s Banyan Marsus Operations Room. The initial expansion of ISIS into Libya is believed to have been dependent on seed funding from the Middle East. According to Western intelligence sources, ISIS in Syria and Iraq provided “millions” to an Iraqi commander, Wissam Najm ‘Abd Zayd al-Zubaydi (d. 2015), also known as Abu Nabil al-Anbari and Abul Mughirah al Qahtani, to fund the creation of the Libyan branch of ISIS in Derna.2 This capital injection is likely to have provided the financial bedrock for the advances of 2014-15, when ISIS moved into locations in Derna, al-Bayda, Benghazi, Sirte, al-Khums, and Tripoli itself. Additional seed capital is believed to have come from the hijacking of a Central Bank of Libya van containing $55 million in US Dollars and Libyan currency in Sirte in November 2013 by Ansar al-Sharia in Sirte, an organizational unit later subsumed by ISIS. 3 After the Tubruq-Tripoli split in the summer of 2014, Ansar al-Sharia acted as a spoiler in the political process while also maintaining a tacit alliance with various Tripoli-aligned Islamist brigades. Another source of start-up capital for ISIS was state salaries. Many of ISIS’s initial members had previously been fighters in various revolutionary militias. After joining ISIS, they managed to remain on the state payroll as members of the Libya Shield Brigades or the Supreme Security Committee militias. This was especially the case for early ISIS adherents who were based in Sirte prior to November 2014. In Sirte, many fighters in Katibat Thuwar Sirt and the Al Farouk brigade (both government financed) formed the Ansar al-Sharia branch of Sirte, before pledging loyalty to ISIS in early 2015. These militias had also obtained large amounts of weaponry and ammunition from the General National Congress (GNC), benefiting from Libyan defence ministry and interior ministry expenditures on vehicles and supplies. 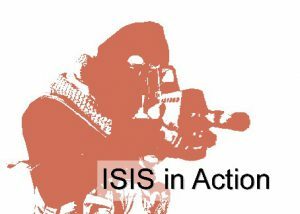 Western governments and international organizations responded to the rise of ISIS in 2014-15 by launching a sanctions regime to undermine ISIS’s financial base. Although ISIS has always avoided overtly engaging in international financial markets, Western strategy has sought to gradually punish ISIS by exploiting its indirect reliance on global financial markets targeting donations by supporters in the Gulf, the cash spigots of the Iraqi and Libyan states, and the key nodes of cross-border smuggling. 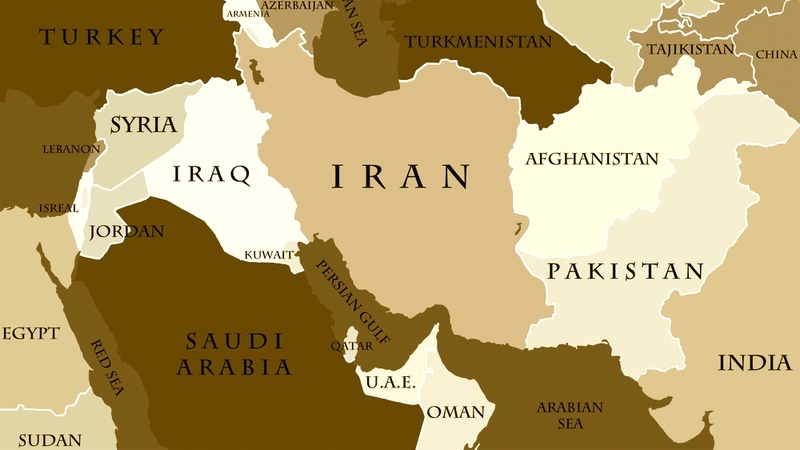 In practice, the international sanctions regime against al-Qaeda put in place after 11 September 2001 was gradually expanded to encompass ISIS and its regional affiliates, with named leaders and supporters designated as targets for individual asset freezes. However, by and large, the sanctions directed against ISIS in Libya appear to have been relatively muted in their impact. The sanctions regime directed against the Libyan affiliate of ISIS has not been as extensive as that imposed on ISIS in Iraq and Syria. The United Nations and the European Union were slow to add ISIS leaders in Libya to the list of sanctions targets, perhaps because of the difficulty of locating specific information on terrorists who often go by aliases. The United States did not designate ISIS in Libya as “Specially Designated Global Terrorists”, thereby bringing them within the US sanctions regime, until as late as May 2016. Despite its initial financial strength, the financial basis for ISIS in Libya dwindled as it ran into greater resistance over the course of 2015 and 2016 – and due to mismanagement and extreme brutality. The group’s Middle Eastern parent faced financial difficulties of its own, which made it incapable of bailing out its wayward Libyan cousin. ISIS’s financial woes in the Middle East are usually seen as a symptom of its battlefield reversals in places like Ramadi and the key oil fields of Baiji and Ajeel as well as the phosphate mine at Akashat. Although loss of resource wealth may be a key cause of financial decline for ISIS in Syria and Iraq, this analysis may not apply to its Libyan branch. ISIS in Iraq and Syria has long been able to export oil and smuggle it into Turkey, so the loss of key oil fields or smuggling routes hamstrung its finances. ISIS’s Libya franchise was never able to follow in the footsteps of its parent branch by controlling oil fields, smuggling mineral wealth, or looting Greco-Roman antiquities. In fact, it has always been heavily dependent upon extracting wealth and taxes from the areas under its control. Looked at in this light, asserting that the finances of ISIS’s Libyan branch have collapsed because it lost key coastal territory in late May and early June 2016 may be putting the cart before the horse. An investigation of the Wilayat Barqa and Wilayat Tarabulus administrative divisions of the Islamic State in Libya demonstrates that financial mismanagement preceded and likely facilitated ISIS’s battlefield losses. Sirte was always unlikely to provide the Libyan branch of ISIS with the funding it badly needed to thrive in North Africa. Prior to 2011, Sirte was a prosperous provincial city, endowed with extensive public works, a university and government buildings. However, Sirte was severely damaged during the anti-Gaddafi uprisings in 2011, with the UNHCR estimating that it suffered more material damage than any other Libyan city. 6 Sirte’s recovery was only partially completed by the time ISIS seized the city in February 2015. The tribes associated with Sirte are the Qadhadhfa and Furjan, both linked to Gaddafi’s rule. As such they were discriminated against by the post-Gaddafi authorities who took no care to invest in or administer Sirte. Similarly, the wealthiest families of Sirte had long been chased out of the town for fear of revenge attacks by revolutionary militias. Their property was looted and productive industry and farming in the town and surroundings was damaged. After its conquest, ISIS acted quickly to begin drawing on Sirte’s remaining material resources. The group seized houses and property of locals who had fled the city and distributed them among its fighters. As central Sirte was falling to anti-ISIS fighters in late August 2016, they discovered various caches of ISIS loot acquired from Sirte’s formerly wealthy class in mid-2015 which revealed quite a bit about how the group acquired its war chest. Gold, jewelry, and foreign cash were stashed in ISIS’s so-called Dar al-Muhasaba (Accounting Department). 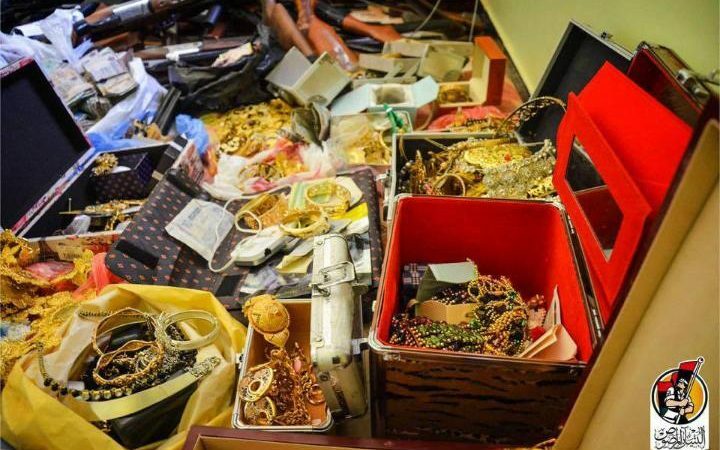 A photo released by Bunyan al Marsous, showing valuables found in a seized ISIS warehouse in Sirte. These seizures are reminiscent of how the Nazi regime utilized pillaged Jewish property — both doling it out as favours to loyalists and using it for state building purposes. Also reminiscent of totalitarian regimes is the extent to which groups of Sirte’s inhabitants that were willing to acquiesce to ISIS’s state building efforts could benefit from them financially. The key to getting on ISIS’s good side was paying tax and adhering to its social norms. ISIS also began exploiting the traffic along the east-west coastal highway (al-Tariq al-Sahili) that runs through Sirte, and the road heading south towards Sabha. ISIS began charging road tolls to vehicles and goods using these roads. 13 This mirrors the practices of ISIS in the Middle East with regard to dominating key thoroughfares, especially the Euphrates river, and charging transit tolls. A further source of ISIS revenue is likely to have been the stream of regular salary payments paid by the Libyan government in Tripoli to its civil servants and militiamen, including those in Sirte and areas under ISIS control (as mentioned above). By continuing to make these payments, it is probable that the Central Bank effectively relieved ISIS of the burden of paying for administration in these areas. Yet, the efforts of ISIS to simply capture wealth were not entirely successful. The presence of ISIS in Sirte acted as a disincentive to investment in the city. Traffic from Misrata dwindled as truck drivers refused to use the road to Sirte and to pay taxes to ISIS. The lack of goods coming into the city led to shortages and increases in the price of basic goods, and to a flourishing black market. Meanwhile, Sirte residents were forced to drive to Tripoli to withdraw cash because Sirte’s banks had closed. As ISIS transit fees lagged due to the worsening economic situation throughout Libya, ISIS fighters resorted to seizing goods from residents leaving the city. By April 2016, it was reported that ISIS was demanding that Sirte residents should pay a Quranic tax, zakat, of 400 Libyan dinars (almost USD 300). By early May, there were media reports of ISIS fighters resorting to publicly selling chickens and eggs in the streets of Sirte. Sirte’s central position and connections across the desert to Niger and Chad offer opportunities for smuggling, yet claims of ISIS involvement in the lucrative North African drug-trafficking trade are unproven. Allegations of narco-terrorism or tobacco smuggling by other jihadist groups (such as dubious claims that Mokhtar Belmokhtar, formerly the military commander of al-Qaeda in the Islamic Maghrib, has run a lucrative cigarette smuggling ring), are thought to have been trumped up, and ISIS is unlikely to have permitted the illicit drugs or tobacco trade to continue in its territory, having outlawed the possession of cigarettes in Sirte on threat of reprimand and lashing. Nor has the much-feared looting of Libya’s ancient monuments by ISIS occurred. Vandalism and theft of antiquities have occurred throughout Libya since 2011, yet despite ISIS incursions into the town of Sabratha from December 2015 onwards and the proximity of Leptis Magna to the frontline of ISIS control on various occasions, the group has not encroached into either archaeological site. Similarly, despite scare stories in the Western media, it is unlikely that trafficking in people has provided much income for ISIS in Libya. 15 ISIS has controlled major coastal routes and it is possible that it has extracted road taxes from people traffickers passing through areas under its control. However, the well-publicised videos of ISIS slaughtering Egyptian and sub-Saharan migrants in February and April 2015 cannot have helped the group’s reputation among individuals seeking passage to Europe. Prospective migrants are also likely to have avoided Sirte and its surroundings due to the presence in Libya of other more popular and less dangerous routes to Europe. Facing these inherent limitations, ISIS has longed for the complete failure of the UN political process, which would allow it to expand and tap new sources of revenue unimpeded. Its ideal scenario was to exploit fault lines generated by the political turmoil and ally itself to various anti-Haftar groups by claiming to be the shock troops in their cause. 17 As soon as the Government of National Accord (GNA) arrived in Tripoli and successful began rebranding and co-opting Tripolitania’s Islamist militias, ISIS recruitment efforts among “revolutionaries” suffered a grave setback. Moreover, the forces allied against it began benefiting from the support of Western special forces, trainers, and aerial sorties. These developments allowed the Banyan Marsus Operations Room to make rapid breakthroughs in places between Abu Grein and Sirte proper. Similarly, the PFG discovered that Nawfilah and Bin Jawwad had barely been garrisoned. ISIS in Libya was under severe financial pressure even before its major losses of territory in the spring and summer of 2016. Sources indicate that despite Sirte being billed as the primary escape hatch for senior ISIS commanders should developments in the Middle East turn against them, ISIS has been unable to receive significant funding from the Middle East in recent months, particularly given the ever-tighter external surveillance of Sirte and the significant financial pressure on ISIS in Syria and Iraq. Despite these gains, ISIS in Libya withstood the siege of Sirte longer than many analysts expected. The phasing of the battle for Sirte was chosen with a political rather than a military logic in mind. The battle should have opened with an aerial bombardment of key ISIS strongholds, but in fact, Western air support was only called upon by Banyan Marsus when its own ground troops got bogged down in early August 2016 after suffering a string of retaliatory suicide attacks. The sustained American aerial campaign over Sirte throughout early August tipped the scales further against ISIS, but the willingness of Banyan Marsus forces to endure the heavy casualties needed to displace ISIS in street-to-street fighting remained the limiting reagent for progress. In short, ISIS in Sirte has been on the ropes for months, but Libyan forces have until now lacked a comprehensive battle plan and the cohesion needed to deliver a knock-out punch. The seizure on 10 August 2016 of the Ouagadougou Conference Centre, the symbolic headquarters of ISIS in Sirte, may be a sign that ISIS will be completely driven from Sirte soon. This, however, will not represent a death blow to group, as could have been delivered with a different battle plan. If Sirte becomes ISIS-free, the main cause will be its own weakness, rather than any compelling anti-ISIS battle plan. The progress against ISIS was achieved without a shared military front, because ISIS’s opponents have never assembled a coherent political coalition against it. At the time of writing (early August 2016), divisions between Haftar’s LNA, the GNA’s Banyan Marsus and Ibrahim Jadhran’s PFG have never been greater. 18 In fact, divisions within the GNA’s forces and even within Misrata’s various militias are such that various hard-line Islamist elements have defected, bypassing Sirte and bombing Ajdabiyya and fighting Haftar in Benghazi instead. Moreover, just as the financial noose was never completely tightened, a physical encirclement of Sirte by land and sea was not completed before the key offensive began. This meant that top ISIS commanders are believed to have escaped into the Libyan desert, leaving only mid-level operatives to direct street fighting and suicide vehicle attacks against their opponents. It is unknown, but not impossible, that these operatives will have fled with large stockpiles of cash. Based on previous experience, we can imagine they will set up shop on the arms, drugs, and human smuggling routes in southern Libya and embed themselves within the tribal and ethnic conflicts that characterize the Fezzan region. As international policymakers contemplate how to grapple with any new iterations of ISIS or other jihadist groups which are likely to pop up in Libya if ISIS were increasingly marginalized, they should focus on financing from the get go. Libya is central geographically, with significance to the Mediterranean, North African, and Middle Eastern systems, but it is even more central financially. It is home to a large sovereign wealth fund (still largely frozen) and to the largest oil reserves in Africa (though these are largely impossible to tap given infrastructural damage and lack of functioning state structures). These financial realities plus the absence of sovereign institutions and a coherent state security apparatus will always make Libya a fertile petri dish for jihadist organisations seeking to multiple rapidly. James Roslington has a PhD on modern North African history from the University of Cambridge, where he was a Visiting Fellow at the Centre for Research in the Arts, Social Sciences and Humanities in 2014. 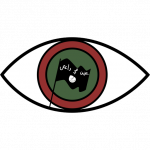 Jason Pack is the founder of EyeOnISISinLibya.com, president of Libya-Analysis and the North Africa Analyst at Risk Intelligence. He holds an M.St. in Global and Imperial history from St. Antony’s College, Oxford University and is currently on a leave of absence from his position as a doctoral student at Cambridge University. His media output consists of over a hundred op-eds and news analysis articles in The New York Times, The Wall Street Journal, The Financial Times, The Spectator, The Guardian, Foreign Affairs, Foreign Policy and other top outlets in over fifteen countries. Jason’s advisory work has consisted of frequent meetings with the MoD, FCO, DoD, State Department, NATO and the UN. 7 Responses to Who pays for ISIS in Libya? A brilliantly well-informed article which should be used as a quid to further strategy by all those who genuinely want peace in beautiful Libya.